Let me start this post by saying: I know this isn’t pho. Pho (which I LOVE) has a much more complicated process, including boiling bones, in order to be authentic. As the title states, this is imitation pho! 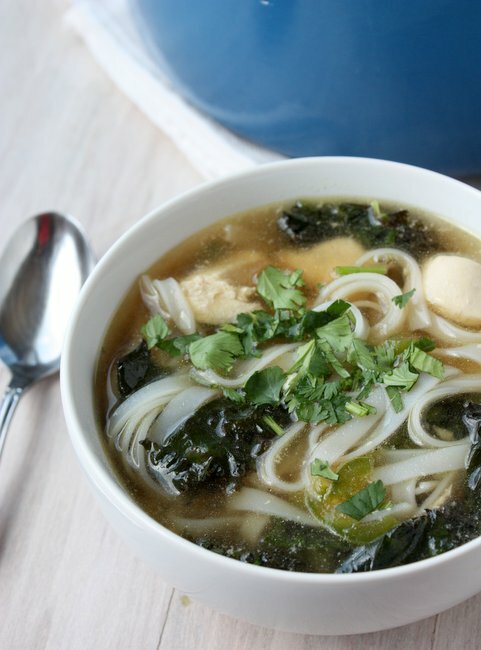 A quick, painless way to make a pho-like soup to ease your craving! This soup was a bit of a saving grace this week. Pretty much the only thing I accomplished Tuesday was making this soup. Other activities included watching The Hunger Games (again), and listening to The Great Gatsby (again), all while lying in bed. The broth of this soup, however, was my favorite part of the day. I was hooked on it! The best part of this soup is the spice. Oh, the spice! It’s refreshing, but having it hot in both temperature and flavor is incredible. If you aren’t such a fan of spicy, omit the jalapeño (although I don’t know why you would do that… it was awesome!). I’ve made this soup a few times, and used either plain spaghetti or rice noodles – either works just fine! 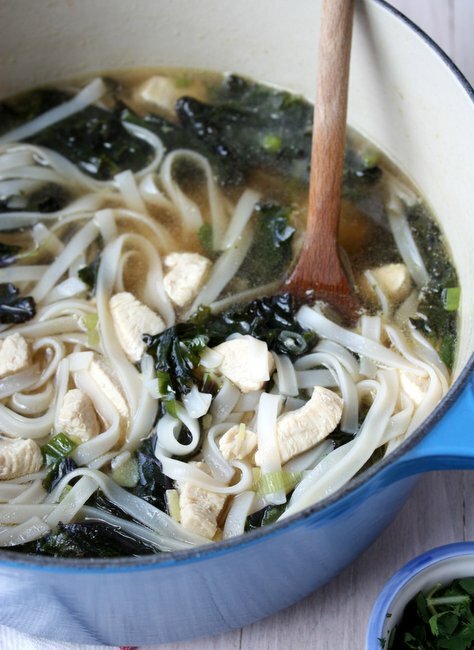 In a heavy soup pot, heat the sesame oil over medium heat. Add the chicken and salt, and cook until the chicken is no longer visibly pink (it does not need to be done all the way through). Add the chicken stock, jalapeño, green onions, and kale. Cook for 15 minutes, or until chicken is fully done. In a separate pot, bring water to a boil and cook rice noodles according to directions. Drain the noodles and then add them, along with soy sauce, fish sauce, and rice vinegar, to the soup. Add salt as needed, although you will likely not need to add much. Top with sriracha and chopped cilantro. I adore Pho, it is time consuming to be sure! 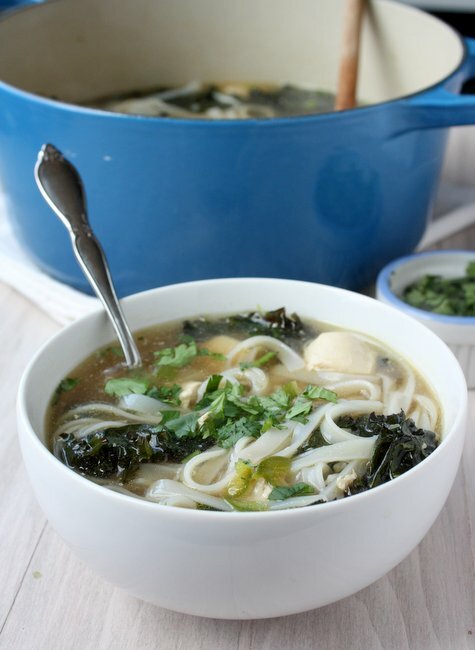 I too make a faux Pho, and then I bastardize it even more by using udon noodles. But it’s that flavorful broth that’s so addictive. I’ll have to try your version…and I agree, why leave out the heat? Hi Susan — I wish I could be helpful here, but I honestly do not know! If I were still in the US I would go look… but I’m not. Sorry!! Good luck!